1531 Thurston is a 2 story 5br/2ba house in the Punch Bowl area. Zoned A-2 Apartment in Residential neighborhood with Affordable Housing Opportunity. Square footage does not conform to tax records. Investor/Developer/Contractor dream. Rent-able fixer-upper offered for 2018 LAND VALUE ONLY. Potential for future development. 2013 Soils Report and 2018 Survey available. Buyer to do all due diligence prior to closing. 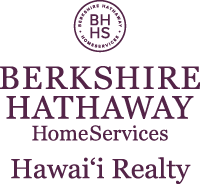 I am interested in 1531 Thurston Avenue, Honolulu, HI 96822. Sign up for Inside AccessTM to view recent sales near 1531 Thurston Avenue. 1025 Spencer Street UNIT "C"
Information is provided exclusively for consumers' personal, non-commercial use and may not be used for any purpose other than to identify prospective properties consumers may be interested in purchasing. Based on information from the Multiple Listing Service of the Honolulu Board of REALTORS®. Copyright: 2019 by the Honolulu Board of REALTORS®. Some of the active listings appearing on this site may be listed by other REALTORS®. If you are interested in those active listings, our company may represent you as the buyer's agent. If the active listing you are interested in is our company's active listing, you may speak to one of our agents regarding your options for representation. This content last refreshed on 4/23/2019 1:41 PM. Some properties which appear for sale on this web site may subsequently have sold or may no longer be available.